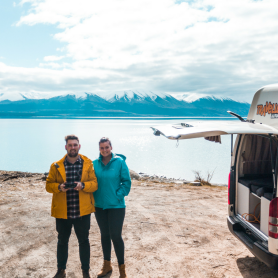 If your perfect idea of travel is something adventure-filled, outdoorsy, and inexpensive, then a campervan road trip is for you. 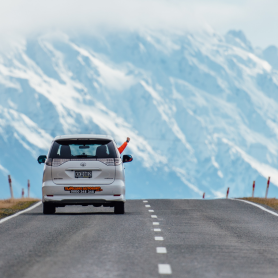 A road trip with Travellers Autobarn is already one of the most budget-friendly ways of travelling New Zealand, although there are a few extra steps you can take to save money on your trip. Stretch out your budget by buying groceries instead of eating out every meal. Your campervan will be equipped with a gas stove, fridge, and everything you need to cook up a storm. 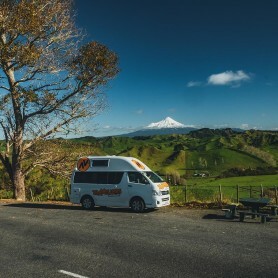 Restaurants in New Zealand can get pretty expensive, and the whole fun of a campervan road trip is eating your meal in the great outdoors! A huge amount of savings can be made when you travel in low season. In New Zealand, this is usually March through to September. 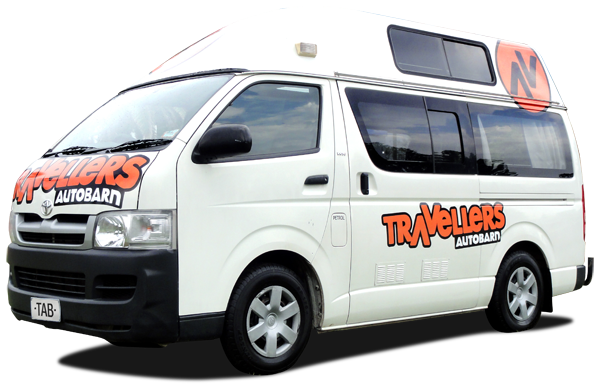 Hiring a campervan can be as low as $40 a day when you travel in winter, although in summer this can double or even triple. You will also save a considerable amount of money on campgrounds and other activities in winter. 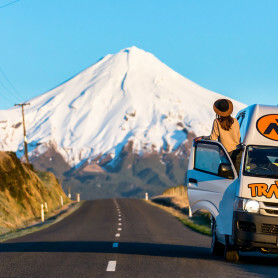 And plus, New Zealand’s stunning snow-capped mountains and glaciers are another reason to travel in winter! 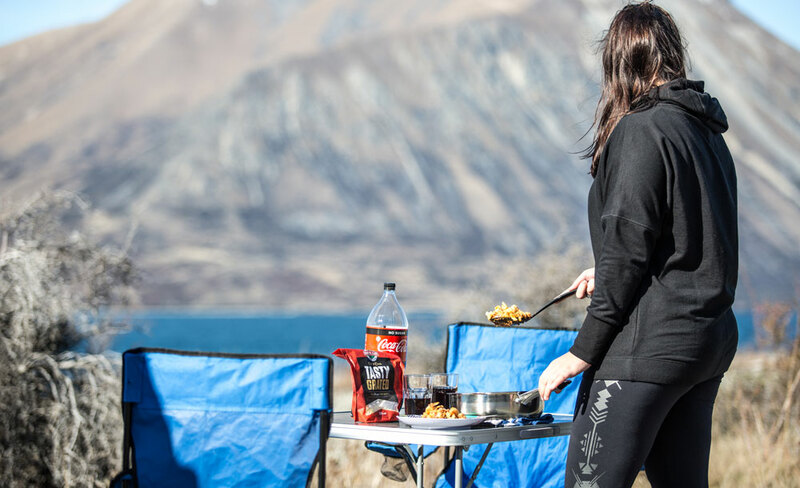 If you plan to spend your nights at campgrounds in New Zealand, there are a few ways to get the cheapest deals on them. By pre-booking campsites, and staying at ones outside of the popular touristy areas, there will be more availabilities and therefore more choice in the cost to stay a night. If you hire from Travellers Autobarn, you’ll also be provided with access to free and discounted campgrounds! Before you leave, make sure you thoroughly consider everything you might need while on the road. Packing only the essentials is important when travelling in a campervan, so don’t bring unnecessary stuff. However, it’s usually a lot cheaper to shop around before you go, rather than being stuck somewhere and having to pay a high price. Consider an item such as sunscreen and the price difference between purchasing it from home or a touristy location! If you don’t shy away from a little adventure (and compromised hygiene!) 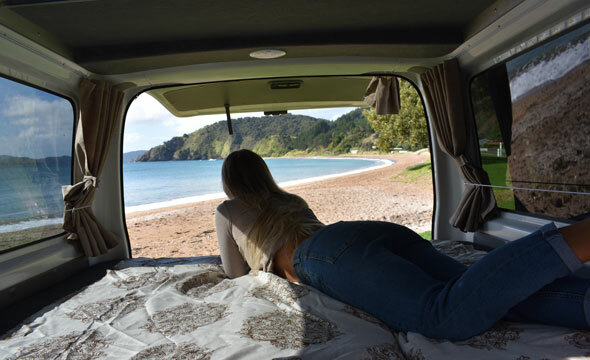 you should try freedom camping in New Zealand. Freedom camping, or camping ‘for free’ is the most budget-friendly form of accommodation. As long as your campervan is ‘self-contained’ (i.e. has a built-in or portable toilet on board) then you are legally allowed to freedom camp in designated areas. It is a great option, as long as it is done respectfully and you leave no trace of your stay.